These creatures will look after your notes, doodles, ideas or whatever you decide to put in your notebook. A set of three A6 Notebooks. 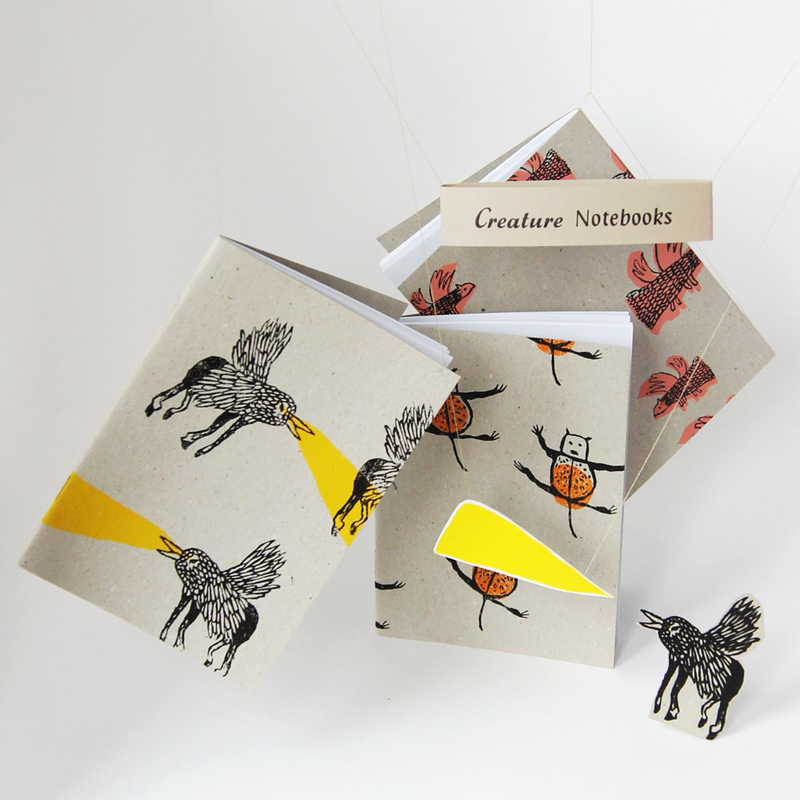 Each set of notebooks contains 3 different creature designs. 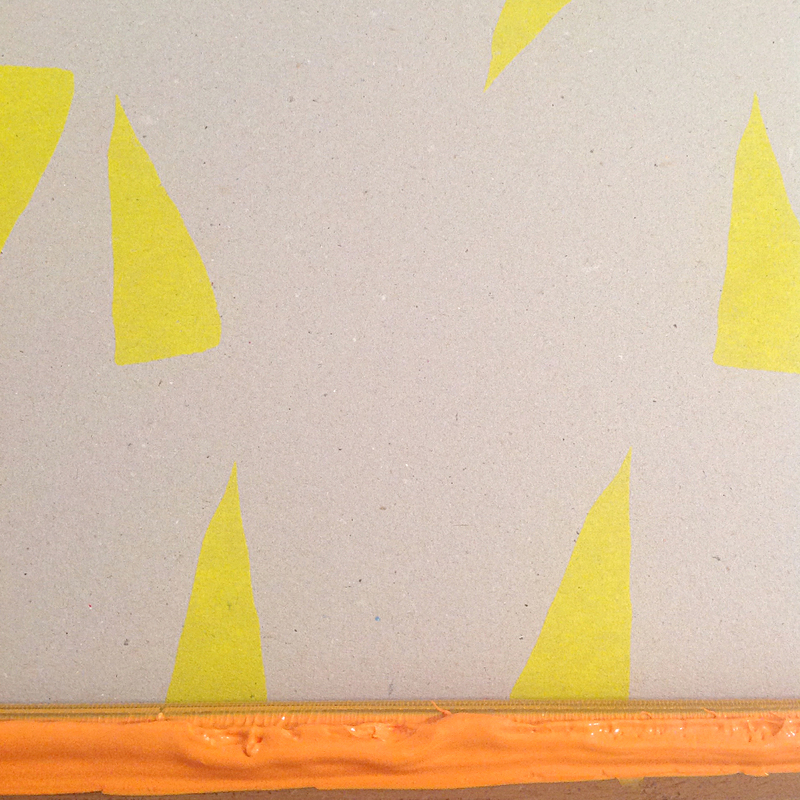 Silkscreen printed by hand, by me on recycled card with plain white recycled paper inside. The notebooks are tied together in a letterpress printed paper band.